Crazy Pedro's is exactly like its name: crazy. I am your typical fussy eater. I’m a plain cheese and tomato or pepperoni kind of girl, so going to Crazy Pedro's seemed like it might be wasted on me. Off I went with my friends ready to satisfy our appetites. However, looking at the menu left me a bit shocked. I mean, who puts mustard and ketchup on the same pizza? Not to mention maple syrup on a pizza - I can't say it would be my first choice. We ended up getting three pizzas between us and two sets of nachos - our eyes were definitely bigger than our bellies. 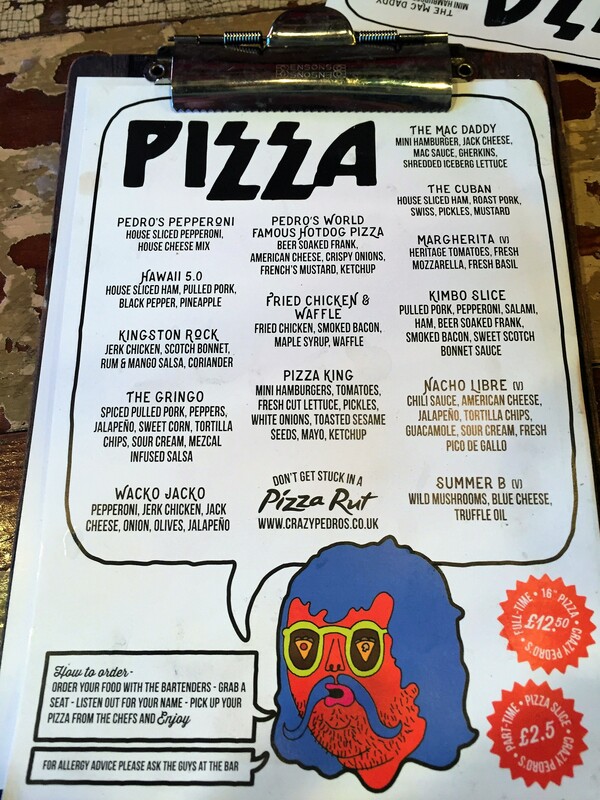 We ordered the ‘Pedro's Pepperoni’, ‘Fried Chicken and Waffle’ and ‘Pedro's World Famous Hotdog Pizza’. The pepperoni was right up my street and the pizza was enormous, so I could not complain at all. I would order that again in a heartbeat. Being the fussy eater that I am, I made us ask for the maple syrup on the side of the ‘Fried Chicken and Waffle’ as I was already pulling my face at having waffle on a pizza. Surprisingly, it was actually quite nice which shocked my hard-to-please appetite. The ‘Pedro's World Famous Hotdog Pizza’ was not to my taste at all. This pizza was left due to its weird toppings of French mustard and ketchup. It was just too weird for me: there were too many toppings and foreign textures in my mouth all at once. I cannot say I will be having that one anytime soon. If you're not a huge fan of spice, remember to ask for your nachos without jalapenos as chewing on a mouthful of them and feeling like your tongue is about to burn off is never a good sensation. All spices aside, they were lovely and very tasty. All that between five people including a drink each was £12 , which I think is a bargain for a meal out in a cute, 'hipster' place. 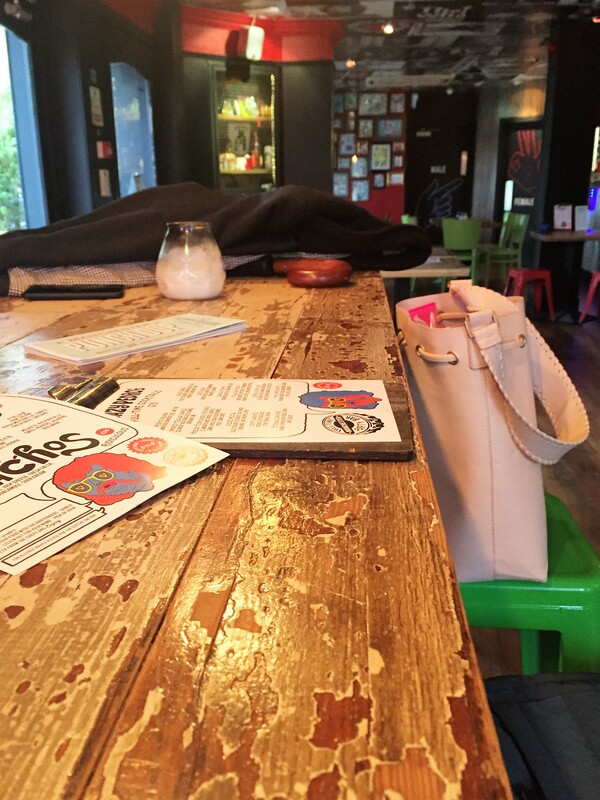 It is a million times better than your average take-away place for around the same price! 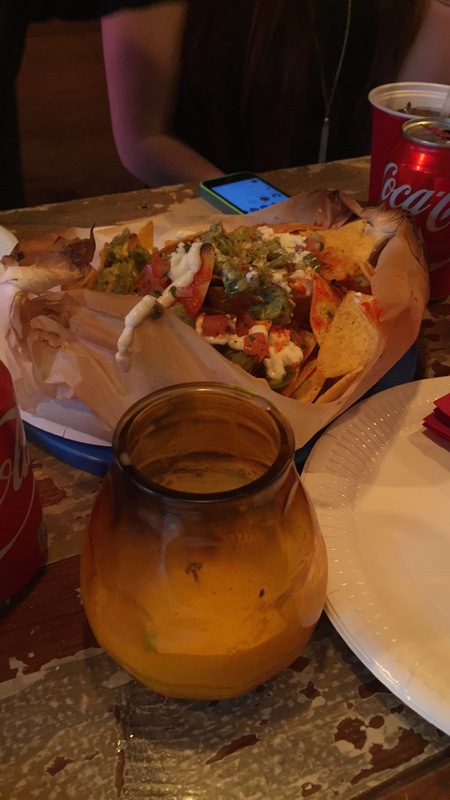 The only thing I would say: It would’ve been nice if the nachos came first and then the pizza instead of getting an overwhelming amount of food all at once. 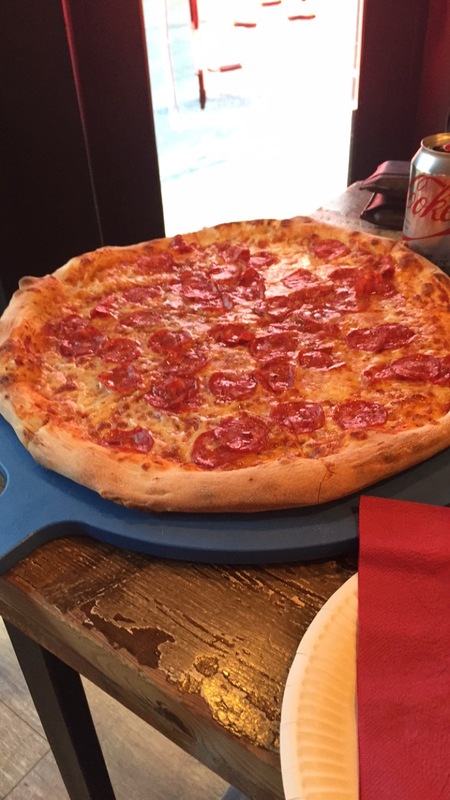 If you fancy a late lunch snack, you can also order just a slice of pizza; perfect for those who aren’t particularly hungry. I definitely left feeling full and unable to move, and I would recommend going there ASAP. Seriously, go get a pizza right now!